LASCO Financial Services Closure Notice - LASCO Financial Services Ltd. 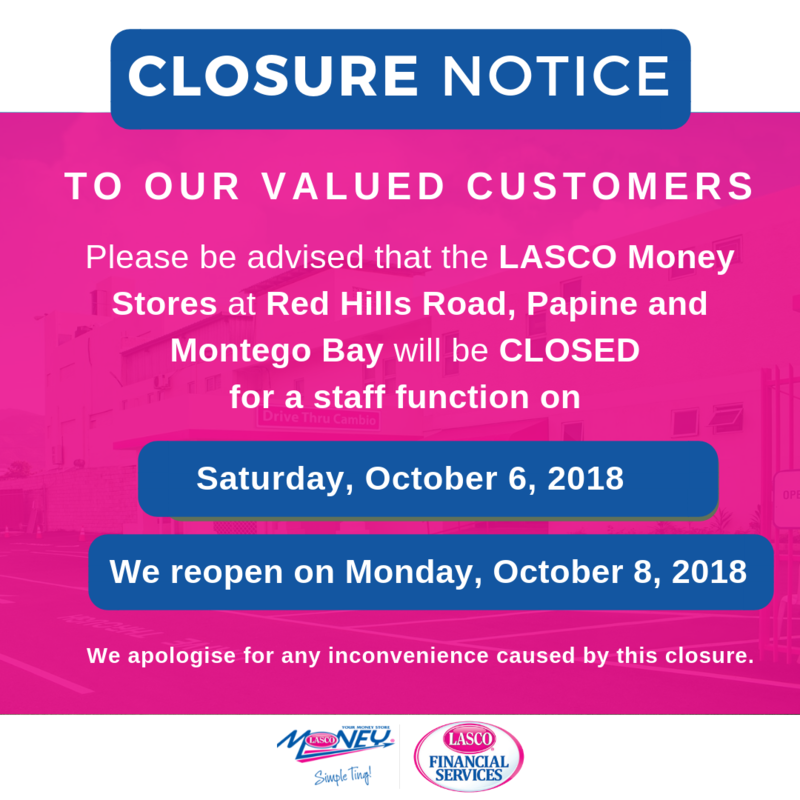 Please be advised that the LASCO Money Stores at Red Hills Road, Papine and Montego Bay will be CLOSED for a staff function on Saturday, October 6, 2018. We reopen for business on Monday, October 8, 2018. Visit our branch locator for alternative locations.